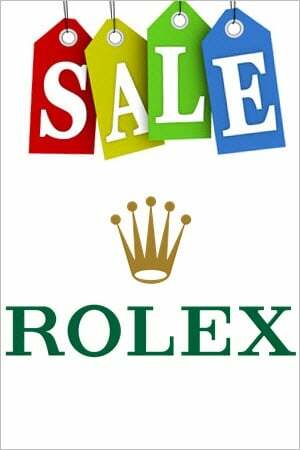 The Rolex Sea-Dweller line is the result of years of collaboration with experts in the field of deep sea diving. During the 1960s, as the needs of divers evolved, so-called 'ultra-resistant' watches began to be produced. Thanks to their greater crystal thickness, integrated helium escape valves, and thicker case, the Rolex Sea-Dweller models were water resistant at twice the depth of most competitors. Today, watches in the Sea-Dweller line are resistant at depths of up to 4,000 ft (1,220 metres) and retain all of the class and elegance of a Rolex. The high-class design and engineering of the Sea-Dweller are sure to impress, in the deep seas as well as at even the most extravagant of events. Released in 1967, the Rolex Sea-Dweller is a high-performance diving watch, which was designed to meet the specific and challenging needs of deep-sea divers. This was especially important at the time, as divers were increasingly carrying out their work at depths which exceeded the water resistance capabilities of the Rolex Submariner and any other diving watch on the market at that time. The original Sea-Dweller model was created in collaboration with professional deep-sea divers and was a direct progression from the Rolex Submariner. In this article, we take a more detailed journey through time, starting with that model and examining the Sea-Dweller's evolution as it became a major Rolex collection in its own right. In the 1960s, saturation dives became a popular commercial diving technique, removing the need to repeatedly surface for decompression purposes. However, diving watches of the time were experiencing a problem, as helium atoms were collecting between the crystal and dial, building in pressure and breaking the watch. The industrial deep-sea diving company COMEX approached Rolex with a view to finding a solution to this problem and the collaboration between the two resulted in an adapted Rolex Submariner model, with a helium escape valve. These were initially produced for COMEX, but became commercially available by mid 1967. Officially known as the Reference 1665, this first Sea-Dweller model featured the words "Sea-Dweller Submariner 2000" on the dial and utilised a calibre 1575 movement. It was constructed from stainless steel, and offered water resistance at depths of up to 610 metres, or 2,000 feet. Most watches from this production run feature the words "Sea-Dweller" and "Submariner 2000" on two separate lines on the dial, in red writing. They are sometimes unofficially known as 'Double Red' Sea-Dwellers. Models produced before 1971 and, therefore, before the helium escape valve patent was granted are called 'Mark I' Sea-Dwellers. 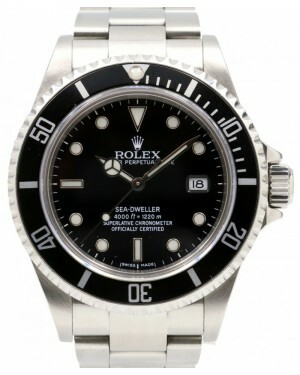 In 1977, Rolex released a transitional Reference 1665 Sea-Dweller model. This particular model is most notable for the change from red writing to white writing and the end of the official link between the Sea-Dweller and the Submariner, establishing the Sea-Dweller's independence. It is sometimes affectionately known as the 'Great White'. The following year, Rolex released the first major upgrade to the Sea-Dweller collection in the form of the Reference 16660. This new model featured improvements to the helium escape valve, a flat profile sapphire crystal and a new calibre 3035 movement. It also continued with the white writing established by the 'Great White' model. As far as performance is concerned, this second generation of Sea-Dweller models offered superior water resistance of up to 1,220 metres, or 4,000 feet; a fact which was referenced on the dial. The model also benefited from superior shock resistance owing to an increase in vibrational speed from 19,800vph to 28,800vph. 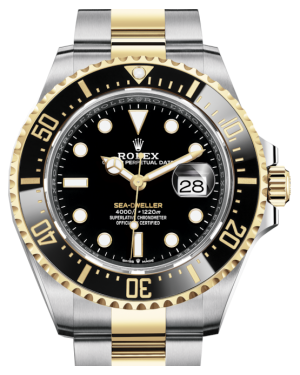 In 1992, the Sea-Dweller was updated once again, with a model called the Reference 16600 and this edition was issued to COMEX divers in subsequent years. Fitted with a new calibre 3185 movement, this model helped to bring the Sea-Dweller collection into the modern era. It remained in production all the way up to 2008, at which point it was discontinued. After a short production break, however, the Sea-Dweller collection was reintroduced the same year with the release of the new Rolex Oyster Perpetual Date Sea-Dweller DEEPSEA, Reference 116660. Significantly, the Rolex Deepsea increased water resistance to a staggering 3,900 metres, or 12,800 feet, making it the most water resistant watch on the market. This was made possible by its three-piece case architecture and an increase in case size from the 40mm diameter of previous models to the new size of 44mm.